Christmas Banners For Improved Holiday Sales. Christmas banners are a way to improve customer awareness to your stores merchandise. Since we are entering the Christmas holiday season in Las Vegas, Christmas banners are a must to improve store sales performance. Christmas banners can be as simple as wishing everyone a ” Merry Christmas” or ” Happy Holidays” from your store to placing advertisement on the Christmas banner with a background of a holiday scene with merchandise specials to entice people to buy. Christmas banners are full color so that means you can have all sorts of colors in the background, including Christmas scenes. You can even put a picture on the banner as well. Christmas banners are printed on a 13 ounce or other weight vinyl substrate with eco solvent or latex inks so that they can be placed outdoors or indoors. The Christmas banners will come with grommets for easy hanging. Employees can put up these Christmas banners with ease with the grommets. Better yet, they can be stored and used the following Christmas season as well. Many stores in Las Vegas are using these banners and rotating their Christmas banners so that customers always see something new being advertised. The banners can be hung indoors or outdoors. The key to success with the vinyl Christmas banners is that they be seen. Christmas banners can come in a variety of sizes and shapes. One of the most common Christmas banners is the 3 foot x 8 foot banner. 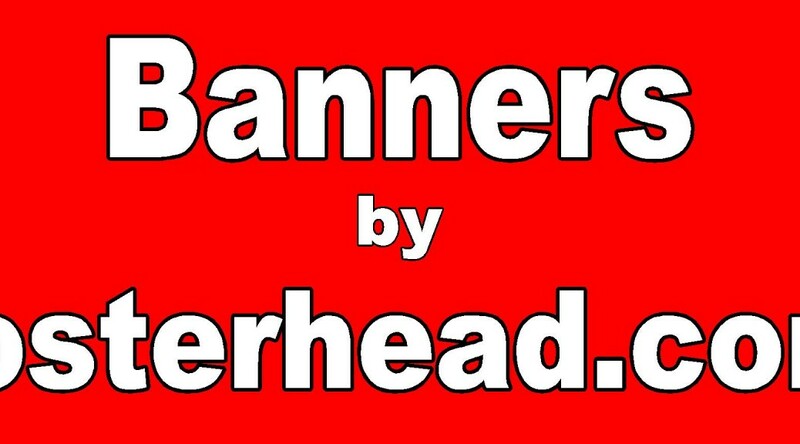 However, these banners can come in a variety of sizes. Large format printers print these banners so different size materials can be run through the printers. To find Christmas banners near you, simply Google or Yahoo the search term ” Christmas Banners” on your computer or look through the local telephone directory to find a sign or print shop that can accommodate your Christmas banner. Officer Darren Wilson signs are all over the television and internet because of his involvement with the shooting death of Michal Brown. Officer Darren Wilson signs are both supportive and not so supportive. 6. It’s About The Rule of Law. These are some of the Officer Darren Wilson Signs that you see on the internet and news. There are some other signs relating to Officer Darren Wilson that are not so supportive and contain some profanity and questionable language. It all started when Officer Darren Wilson of the Ferguson Police Department had an encounter with Michael Brown over some type of walking down the street issue. After the Officer made contact with Mr. Michael Brown, a fight ensued and in the end, Michael Brown was shot and killed by the Ferguson Police Officer. It was a tragic event and many in the community felt that it was wrong that Mr. Michael Brown was shot by the white Police Officer because Mr. Brown was unarmed. A grand jury convened to determine if Mr. Brown’s shooting was justified. The grand jury found that the shooting was justified and tempers in the community have flared. Officer Darren Wilson signs are everywhere. The Officer Darren Wilson signs are supportive or derogatory. It is a real mess and the whole issue is going to be played out in public view. Many are suggesting that violence will occur as a result of the shooting death of Michael Brown and no charges being brought against the Officer. The Officer Darren Wilson signs are mainly hand made using cardboard and poster board with paint or thick markers. Ferguson Michael Brown Signs are popping up all over the internet because of the shooting death of Michael Brown by the Police Officer Darren Wilson. I do not have enough information to adequately render a opinion, I am merely blogging about the signs. 11. Don’t Shoot Me ! These are just some of the examples of Ferguson Michael Brown Signs that are being seen on the internet and news. Last night, a verdict was read that many people did not agree with. Apparently, Officer Darren Wilson was not charged with the killing of Michael Brown and that angered many people. As a result, there was rioting and looting as a result of what many people thought was a unjust verdict not to indict. As I wrote in the beginning of the blog, I cannot render an opinion because I do not have all the facts. I will simply say that any loss of life is tragic. Ferguson Michael Brown Signs are mainly home made signs that are being made with cardboard or poster board being bought from stores and then being hand written. I appreciate the resourcefulness of the individuals making these signs because they are expressing their creativity through this tragic event. It is very easy to make Ferguson Michael Brown signs. Just get anything you can write on and write down your message and put it out in front of the public. Try to get it in front of a television camera. Be Creative ! Henderson Nevada Coroplast Yard Signs For Gorilla Marketing. 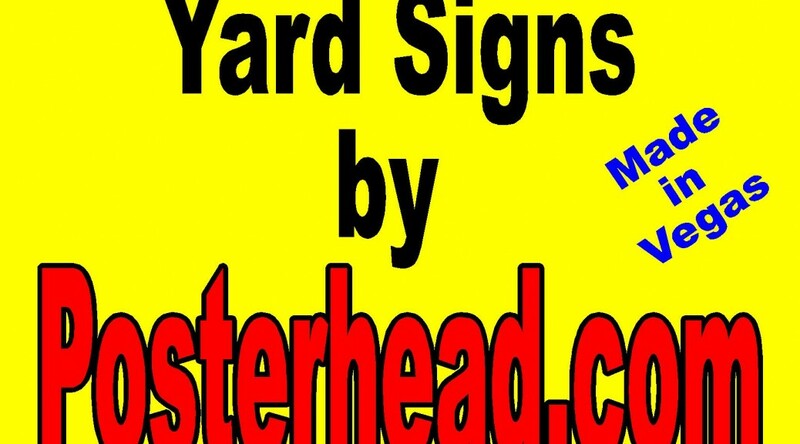 Henderson Nevada coroplast yard signs are a very effective means of advertising your business. Henderson Nevada coroplast yard signs are economical and can be placed at many different locations to get your advertising message out in the public’s view. Henderson Nevada coroplast yard signs are being used by businesses who put these signs on telephone poles, abandoned fences, and other locations so that they can be seen by people driving by or walking past these signs. One great example of this type of marketing is the carpet cleaning business use this type of advertising very effectively. It seems you cannot drive around Las Vegas without viewing a ” 3 room carpet cleaning for $10.00 a room ” sign . Other businesses such as psychics, car buyers, house buyers, homes for rent, etc use these types of signs because they get results. Politicians use these types of signs as well near election time. People running for political office plaster small 18″ x 24″ signs all over to let people know they are running for political office with great success. Henderson Nevada coroplast yard signs are also being used by construction companies on job sites to let people know they are on location. Plumbing companies are putting these yard signs up at residences while they are working at the premises to let the neighbors knows who they are and try to entice them to do work for them. Plumbers know that if there is a plumbing problem at one house in the community, chances are there are other problems at other residences. By putting up the yard signs, they hope to hook another customer. Henderson Nevada coroplast yard signs are made with 4mm coroplast and have either plotted vinyl on the sign or a vinyl print applied to the sign. These signs can be either one sided or have both sides with advertising a message. Las Vegas construction signs are available in Las Vegas Nevada by one of the many sign companies in Las Vegas. Because Las Vegas is the “Trade Show” and “Convention ” capital of the world, there are many sign companies in Las Vegas that are able to make Las Vegas construction signs. There is much construction going on in Las Vegas at any time. There seems to be no end to new casinos being built in Nevada. For awhile, they would tear down a casino and then build another one on the same spot. Theme casinos were in style and they would pay for themselves in a short period of time. Because of all the construction, many Las Vegas construction signs were needed. These construction signs were usually built out of aluminum blanks instead of metal because the aluminum signs would not rust in the Las Vegas weather. Las Vegas does get a rainy season and monsoons during the summer time. Therefore, it is important to make the construction signs out of aluminum. All of the above signs are made with metal or coroplast substrates except for the construction banners. The construction banners are usually a mesh material that allows for the wind to travel through the banner instead of pushing against the banner. These construction banners are popular when there is not a solid surface to mount a vinyl banner to. Las Vegas construction signs are printed with outdoor inks that are designed to last a long time in the outdoor weather. As you can imagine, it gets very hot in Las Vegas and the sun heats up the signs and the signs print need to last in these harsh conditions. Aluminum dust control signs are mandated by the county, state government for construction. Aluminum dust control signs are necessary to comply with government regulations. Sign shops in the Las Vegas area make aluminum dust control signs on 4ft x 4ft double sided aluminum. They print the necessary information required by law on vinyl and then apply the vinyl to the double sided aluminum substrate. The double side aluminum substrate is the substrate of choice because of its corrosion protection. Unlike metal, the aluminum panel will not rust in the outdoor elements of the Las Vegas seasons. Even though Las Vegas is in the desert, we do get rain and the aluminum panel prevents rust. Special outdoor inks such as eco solvent or latex inks make sure the dust control sign will not fade during the harsh Las Vegas summer. The aluminum dust control sign is then placed on either wood posts or metal posts that are secured into the ground. Simple screws with washers or bolts with nuts and washers securely fasten the sign to the posts so that it can be placed in a easily viewable area to comply with the law. Aluminum dust control signs are just some of the construction signs that local sign or print shops make in the Las Vegas area. Sign shops also make vinyl banners that can be easily attached to fences and buildings to let people know who is the construction company onsite. Statistics show that construction companies that prominently display their name on job sites get many referrals for other jobs. Many sub contractors also place small coroplast or aluminum signs on the job site as well to let people know who they are as well. Aluminum dust control signs can be found at your local sign shop or print shops in the Las Vegas area. The cost of a double side aluminum 4ft x 4ft sign is around $99.00. Henderson Nevada banner signs are helping Henderson Nevada businesses become more competitive and profitable through vinyl banners. Businesses are using vinyl banners signs as a form of advertisement with positive results. Henderson Nevada banner signs come in a variety of sizes and colors to draw attention to the advertising message. There is no standard size, but rather an assortment of vinyl banner sizes to satisfy the advertising needs of different circumstances. One of the most common banner signs is the 3 foot by 8 foot full color banner. This banner satisfies most requirements as it is large enough to be seen by passing motorists and pedestrians, but yet small enough to be able to be hung easily on a storefront or a block wall. The 3 ft x 8ft banner can be hung by store employees and removed by employees and stored for another time to be used. Businesses are using Henderson Nevada banner signs to advertise their product specials or service specials or whatever else they may be selling. For example, bowling alleys in Henderson, Nevada will use vinyl banners to advertise bowling specials and the times for the bowling specials. Fast food restaurants will advertise on vinyl banners the food special of the day or week and then rotate the banners in order to give the appearance of ” newness”. Politicians are also using vinyl banners near election time by placing these vinyl banners on abandoned fences and homes in order to get you to vote for them. Politicians are finding out that these large banners get noticed more than the smaller political signs. The trend is to put less political signs out and more banners to get the voters notice them. Politicians seem to like seeing pictures of themselves in large format along with their political message in large format as well. Vinyl Signs For Las Vegas Businesses. Vinyl signs are used by many businesses in Las Vegas to attract attention to their stores and increase sales. Vinyl signs are usually very cheap and have a great return on investment. 1. Vinyl window lettering….simple vinyl lettering on window to advertise products or services to customers. The vinyl is removable easily and new vinyl can be applied when you wish to change your advertising. 2. Vinyl Coroplast signs…. Businesses use these to advertise products and specials and are considered ” throw away ” signs or temporary signage. Many carpet cleaners will use these types of signs and attach them top telephone poles, fences etc to draw your attention when you are driving by. These are simple coroplast blanks with vinyl lettering on them. 3. Political Signs….Same as above but with political messages to get you to vote for a certain candidate . 4. 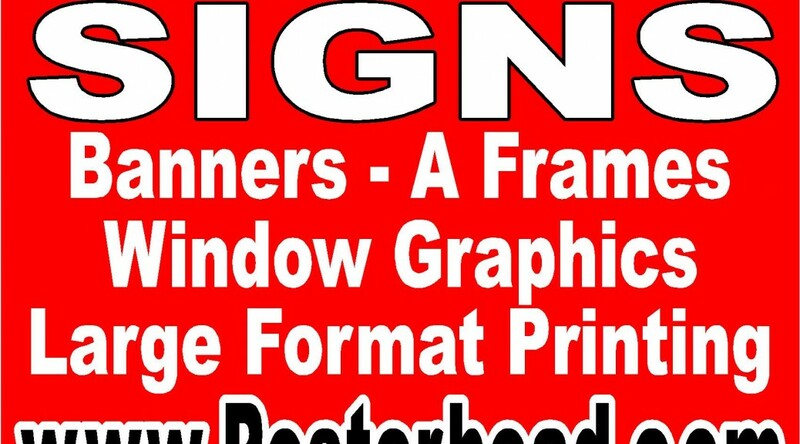 Window Signs….People use simple vinyl lettering for the back windows of their company cars or personal vehicles. The vinyl lettering is easily installed and comes off very easy as well. Some people put their business information on the windows or maybe a ” For Sale” and contact information. Vinyl signs are also used a great deal in the numbering of commercial buildings. Vinyl signs can be the numeric address of a building or the full name and number of an address. Vinyl signs are very cheap because of the simple vinyl material involved. 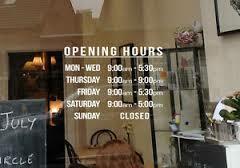 Most of the time they are used for temporary signage but vinyl signs can also be used for longer periods of time. Vinyl signs are readily available through your local print or sign shop. They are a great investment for signage when only temporary signage is needed or simple signage is applicable. Sign banners for advertising are becoming increasingly popular in the business community as the economy staggers along. many stores have realized that with decreasing sales that new innovative ways are needed to reach their clients. Sign banners for advertising are being used to fill the void of expensive and often ineffective advertising. Sign banners for advertising include vinyl banners, mesh banners ( wind resistant banners ) and other forms of banners. Stores and businesses are putting their product specials on the banners and then displaying the banners very prominently on the building or some other location so as to draw the attention of potential customers. Examples would include a telephone cell store advertising on a vinyl banner the new deal of the week or new cellular telephone that has just become available. Another example would be a Dollar Store advertising ” Back To School ” specials to lure the parents in to purchase school supplies. Sign banners for advertising are not very expensive. In fact the going rate for vinyl banners in the Las Vegas area tends to be around $2.00 a square foot. This price would include full color and grommets on the banner to make it very easy to hang. Many times, sign shops or print shops will have vinyl banner specials at a lower rate. In Las Vegas, it is not uncommon to be able to get a 3ft x 8ft vinyl banner for $39.00. These banners are printed on a 13 ounce banner material with outdoor inks so that they last in the hot summer sun of Las Vegas Nevada. They are also waterproof so you do not have to bring them in during the rainy season. In fact, many businesses will save and rotate banners so as to give a store a fresh look of new merchandise. Sign banners for advertising is a very economical way to get your advertising message across. Vegas Cheap Banners For Advertising. Vegas cheap banners are a very cheap and economical way to advertise your companies products and services. Vegas cheap banners can be seen from far away and grab the attention of potential customers as they drive or walk by. Vegas cheap banners come in a variety of sizes and colors to match the needs of the business. The most common size for a banner seems to be the 3ft x 8ft banner. This vinyl banner seems large enough to have the necessary marketing information or product information on and yet be manageable. The cost of a 3ft x 8ft full color banner in Las Vegas seems to be around $39.00. This $39.00 charge would include grommets and basic design time to create the banner. Vegas cheap banners are usually printed on a vinyl banner material of 13 ounce with inks designed for the outdoors and indoors. It is important to get the outdoor ink so as to avoid color fading in the hot and intense Las Vegas sun. Vegas cheap banners are used by a variety of Las Vegas businesses such as car dealerships, smoke shops, pizza places, carnivals, etc. Car dealers will use the Vegas cheap banners as a way to advertise the weekly deal of the week. Pizza places are forever trying to lure customers in with those $9.00 large pizza specials and carnivals use them in town to town to announce that a carnival will soon be available in town for people to enjoy. Vegas cheap banners are easy to hang. The banners come with grommets that allow for rope, screws, zip ties, etc. to be used for easy hanging. To find Vegas cheap banners near you, contact a local sign shop and they will be more than happy to assist you in finding the right vinyl banner to assist you in getting your business noticed.